I’m Jonathan Mosen, the host of The Daily Fibre, which airs week days at 3 AM Eastern time, repeated 12 hour later. Hey, don't judge, 3 AM Eastern is a highly civilised 7 PM in New Zealand in winter. As part of my work for the technology consultancy company I founded, Mosen Consulting, I read a lot of technology news. I know technology is a subject that interests many people, and the pace of innovation means that it can be a tough subject to keep up with. That's why I combine my love of great music from the 50s to the 80s with my thirst for cutting edge tech news. It's a unique blend of talk and music I call The Daily Fibre. You can contribute as well, with your observations, questions and comments about tech. Do give it a listen. My aim is to both inform and entertain. If you have to get your tech fix as soon as possible, and/or without the music thrown in, check out The Daily Fibre Premium. That leaves the show I've been doing for more years than I care to remember, and it's that show that this page is predominantly about. the Mosen Explosion airs most Sundays at 2 Pm Eastern, 7 PM in the UK. That’s Monday morning where I live. In winter time, the show starts bright and early at 6 AM in New Zealand, while when we're on daylight saving time, it's a more civilised 8 AM. Sometimes, I get asked why on earth I get up at such an early hour to host a voluntary Internet radio show. First, I love the medium, so any time's a good time to do radio. But the early hour takes me back to my commercial radio career, where I used to stagger out of bed at 3:30 AM for a 6 AM start. There's a certain kind of energy about the morning shows, and I try to bring that to the Mosen Explosion. I’ve been involved with radio from a very early age, having begun being heard by radio listeners in my home town of Auckland, New Zealand, from the age of four. 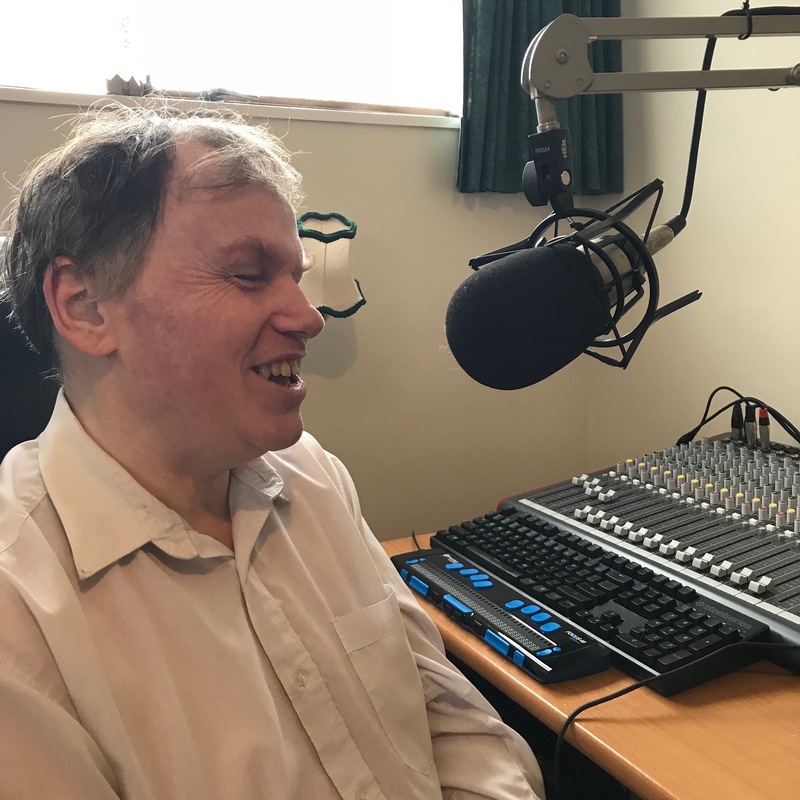 I always wanted to work in broadcasting, so while I was still at high school, I established a licensed radio station at the school for the blind, to demonstrate that blindness was no barrier to working in broadcasting. We funded the whole thing with advertising, and I made many useful radio contacts through inviting them out for a look and to guest host a show. During and after completion of my degrees in History and Political Science, I worked on a number of commercial radio stations both in broadcasting, and administration. When it was time to start a family however, the crazy deregulated radio market at the time in New Zealand, where stations were regularly changing owners and formats, was no stable place to be. So I’ve worked in other fields such as Government relations and information technology. While on the Government relations track, I went back to University to complete a Master’s degree in Public Policy. Radio, though, is my first love. I’ve run a number of low power community FM stations, some of which streamed on the Internet, and founded ACB Radio in 1999, which I directed for 4 years. I’ve stood for Parliament twice but the people were too sensible to elect me, been the Chairman of the Board of New Zealand’s blindness agency and the President of our blindness consumer organisation (but of course not at the same time), and am a registered hypnotherapist. I love a wide range of music, but am a fanatical Beatles fan and collector. I enjoy public speaking, politics from around the world, radio drama but not Twitter drama, good healthy low-carb food, cricket, stimulating conversation, and spending time with my beautiful wife Bonnie and four children, two girls and two boys. Oh, and the cool son-in-law too, I mustn't forget him. Presented from Wellington, the capital of New Zealand, from studios at Mosen Towers, the Mosen Explosion is four hours of radio that’s full of fun, spontaneity, listener interaction and the very best music ever made. I try to make the show like the ones I enjoyed listening to as a kid, with plenty of jingles, use of funny little audio snippets and a fast pace. •	The Banana Report, where the Mosen kids get let loose on the air and say who knows what. But mostly, we spend our time playing a huge variety of great music. If I have it, I’ll play it, no matter what the genre or when it was made. Much of what we play is driven by you, and that’s the way we like it. If you’re a new listener, we’ll induct you as a friend of the show by exploding you. Yes, this is one place where being exploded is actually a good thing! It’s easy to keep in touch with the Mosen Explosion. It's cool to hear the voices of our listeners. So why not give the Explodaphone a call, either while the show's on, or ahead of the next one. The number, in the USA, is 404-458-0645. If you’d like to make a request for the show, Email me any time and I’ll do what I can to help. The address for requests by Email is my first name at mushroomfm dot com. Sorry, but I have to spell it out that way to try and keep the nasty spam spam spam spam spam spammers away. Follow you, follow me. You are welcome to follow me on the social networking site Twitter. What’s nice about Twitter is that you can see who else is following the show too. Follow other listeners and you’ll complement what’s happening on the air by chatting with others listening to the same show as you. It can be a lot of fun, much of the listener banter that surrounds the show is really entertaining. Use the #MushroomFM hashtag in your tweets, and others who are not following you but who have an interest in the Mosen Explosion can read what you tweet. Who knows, you may get a few followers out of it too. Be my friend and I’ll be yours…Aw, whatever happened to Barney anyway? If you’d like to write on my wall, or just put another brick in it, Friend me on Facebook. Most Mosen Explosion fans are an interactive, talkative lot, and sometimes, we don't want the talking to stop, just because the show has to finish. Please join our little group on Facebook, where you can hang out with other listeners and me. We talk about things relating to the show, such as music, and talking points that have come up recently. Choose this link to go to the Mosen Explosion Fans Facebook group. If you would like to receive the same announcements, but also interact with other Mosen Explosion listeners by email, please send a blank message to: Exploders-Subscribe@lists.MosenExplosion.comThis is a low traffic discussion list and you would be welcome. The Facebook group, however, tends to be more interactive than our Exploders email list, which has been around long before social networking.